After Ramat Gan mayor placed under house arrest last week, Rehovot mayor comes under the lens as part of wide investigation. Rahamim Malul, mayor of the city Rehovot to the south of Tel Aviv, was investigated under warning on Tuesday at the offices of the police investigative and intelligence department Lahav 433. The questioning of Malul is part of an investigative case headed by the department on suspicions that an attorney who in the past served as an external legal adviser for regional authorities committed fraud. News of the investigation was first released in February, and in the framework of the investigation Malul is being investigated on suspicion of disrupting investigations, fraud and breach of trust. According to the suspicions, the mayor knew about the apparent conflict of interests in employing the legal adviser, and worked to obtain information regarding the investigation from sources who were investigated. 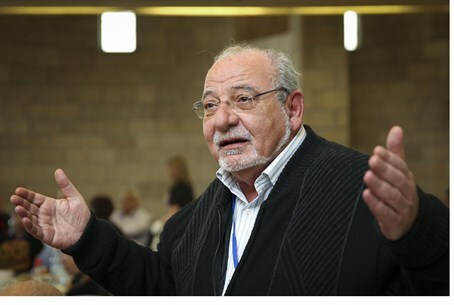 Malul is not the only Tel Aviv region mayor to be suspected of crime; just last Monday Ramat Gan Mayor Yisrael Zinger, was sentenced to seven days of house arrest after being charged on suspicion of accepting bribes. The Magistrate's Court in Rishon Lezion also ordered that Zinger was prohibited from entering or coming close to the Municipality building in Ramat Gan for a period of 15 days. Zinger was arrested last Monday morning, along with 30 other municipality employees, as part of a year-long undercover police investigation and crackdown on corruption by Lahav 433. The workers, including a number of senior officials, were arrested on suspicion of elections bribery, fraud, breach of trust, money laundering and tax crimes.